helps provide free health care and assistance to those in need and much more. These are only a few of the services our partner agencies provide. These programs and many others are possible because of you. With your help we will raise the money needed to meet the needs in our communities. This year our partner agencies need your help more than ever as the need for their services continues to grow while state and local budgets continue to shrink. 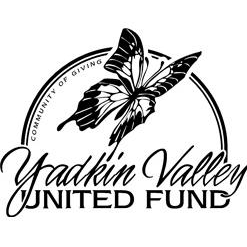 Your donation to the Yadkin Valley United Fund is tax-deductible. We are a 501c(3) organization.